A huge part of the challenges most freelance agents, self-employed individuals, and solo entrepreneurs face comes from the financial aspect of things—specifically accounting for taxes. BIR Registration may seem to be overwhelming for some, considering the several forms necessitating personal information, deadlines to meet, and, of course, the grueling task of tax computation. Fortunately, there are various accounting services in the Philippines that cater to such entrepreneurs. Here’s one form that both self-employed individuals and entrepreneurs should have knowledge on. Employee applying for TIN? Read this first. 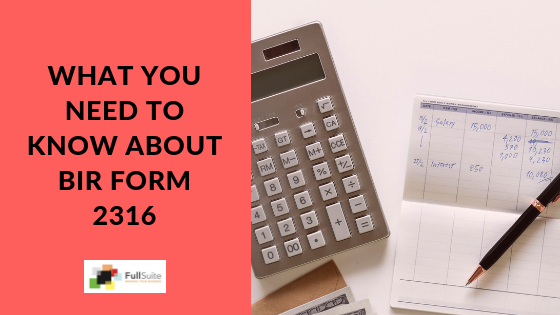 What is BIR Form 1901? The BIR Form 1901 is the Application for Registration for Self-Employed and Mixed Income Individuals, Estates/Trusts. 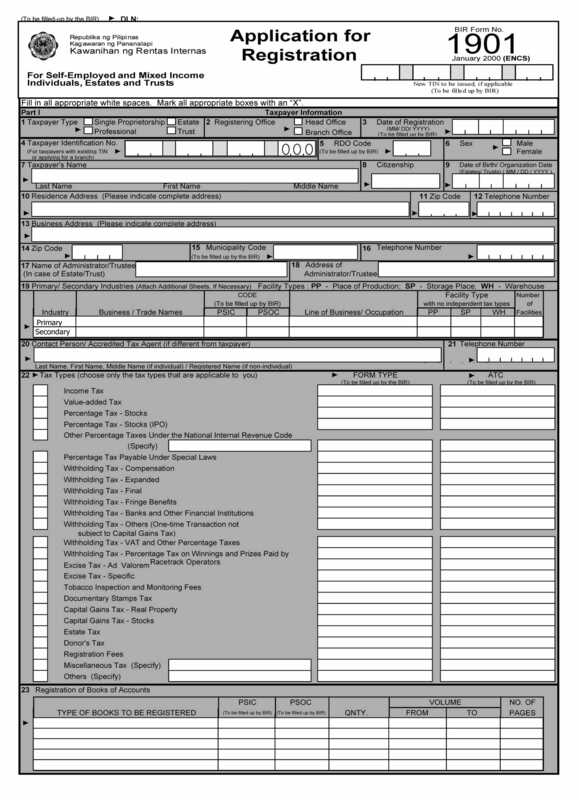 Here’s an image of how the BIR Form 1901 looks like. What is it for and who needs to file it? BIR Form 1901 is used for the registration of self-employed and mixed-income individuals, estates or trusts with start-up businesses, and when opening/registering a store’s new branch—all of which for filing their taxes. This document requires accomplishment of a Revenue District Office (RDO) with the appropriate jurisdiction over the head office or particular branch. The filing must be completed prior to the definite use of the loose-leaf or computerized books of accounts or also referred to as the accounting records. When is the BIR Form 1907 issued? BRI Form 1907, on the other hand, is the Application for Permit to Use Cash Register Machines/Point-of-Sale Machine. All taxpayers opting to use such equipment in place of having official receipts/invoices should accomplish this particular document for all their cash depository needs, before use of the chosen machine. Similar to the BIR Form 1901, the RDO does the necessary completion of the document, given that they have jurisdiction over the head office or branch. If you want to learn more about other BIR forms, check out our Ultimate Guide to BIR Forms post.